Our properties move around all over the place. Properties even ‘breathe’. This is not uncommon and you can hear this movement happening all the time: just go outside on a summer’s morning after a cool night and listen to your gutter clicking away as the sun rises. This is caused by thermal movement as the gutter expands in the rising temperature. Occasionally we hear this in our houses too when we hear a loud ‘click’ or ‘crack’ in the evenings, usually as timber in the floors or roof contract in the evenings as the temperatures fall. As the property ages more and more movement takes place over the years. This can result in more serious issues such as tree roots moving your foundations, the soil under your property ‘heaving’ due to increased or decreased rain periods or even earthquakes (we have around 200 earthquakes in the UK annually). 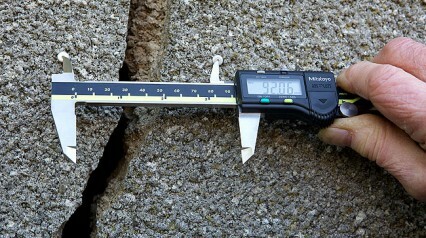 Pearce & Pearce have a team of highly qualified structural surveyors who are used to analysing and diagnosing cracks and structural movement in properties. If you need advice on cracking, movement or anything at all that just doesn’t seem right, please get in contact and we will be able to help. "At Pearce & Pearce Surveyors Ltd we are passionate about the customer experience. Our focus is on taking care of you as homes and property are all about the people that live in and use them. Otherwise, buildings are just empty piles of bricks, concrete, timber and steel. Our mix of experience, qualifications, attention to detail and friendly family-run approach has helped thousands across the UK and we want you to be next."